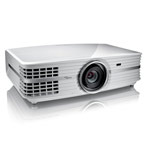 Currently, Wide XGA (1280 x 800) and HD (1920 x 1080) are the most common home theater projector resolutions. 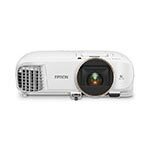 An HD (1920 x 1080) projector has about twice the number of pixels of a Wide XGA projector. More pixels mean a sharper looking image and better compatibility with high-definition sources. For best results, you should try to match the projector with the native resolution of your source material. Your Blu-ray player, PlayStation 3 and Xbox 360 typically put out a 1080p signal. HDTV signals are still not totally standardized, although 720p and 1080i seem to be the most common. 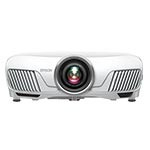 So what does that mean for your projector purchase? 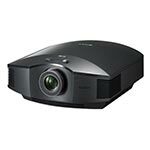 HD (1920 x 1080) projectors are designed to deliver all the rich details carried in a 1080p signal. 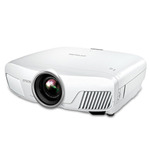 Wide XGA projectors will deliver great results when fed a 1080p signal, just not as great as their HD counterparts. That said, you'd be hard-pressed to tell the difference between the two unless you were projecting a very large image, say eight feet diagonal or more. 3D projectors have come a long way in recent years. Now, nearly all home theater manufacturers have 3D models. Prices are dropping and content is becoming more readily available. Many cable providers even offer 3D channels and programs. In 2008, the HDMI consortium released a new standard that supports DEEP Color. Previously, HDMI cables only supported 8-bit color, which supplied a measly 16.7 million colors. DEEP Color supplies 10, 12 and 16-bit abilities, up to 2,800 trillion colors. This drastically increases the number of shades of each color, virtually eliminating banding. 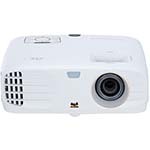 Look for projectors that support DEEP Color or say they are HDMI 1.3a (or above) compliant.